The fastest growing sports betting company in Nigeria, BetKing has pulled some heavy weights since their launch in February 2018. 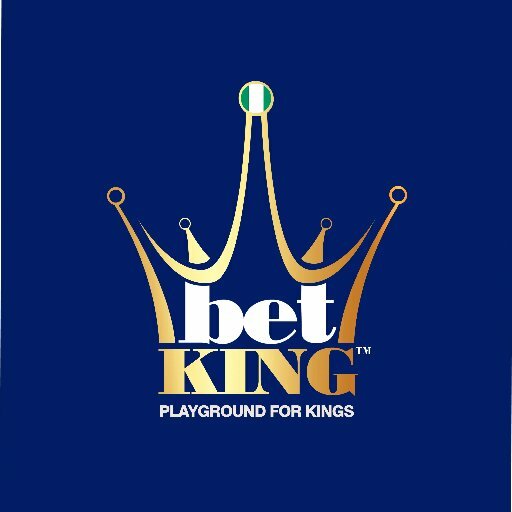 With King of Nigeria football, JayJayOkocha as the royal brand ambassador, heavy presence online and a rapidly growing agent network offline, we see BetKing as a sports betting company that is going to make major history in the industry. So if you want to get in on the action on the Playground for Kings, the steps are quite simple. 2. Click on the “Register Now” icon: You can’t miss it. It just calls you to click to join. On the desktop you can find this on the top-right corner of the page while on mobile you can find it on the top-left side of the page. 3. Enter your details& Submit: This can’t get easier. Just make sure that your information is correct, your password is in line with the criteria and your email address matches. · BetKing discourages underage betting and so you must be of legal age to register. And that is it. Literally A-B-C.
To log into your BetKing account is just as simple. · Click on Login on your mobile device or just enter your user name and password if you are on desktop. BetKing is Nigeria’s fastest growing sports betting company in Nigeria and they can attribute the rapid growth to their competitive odds, service delivery that suits royalty and their products – both for sports and virtual. In addition to that, BetKing provides a wide variety of methods for customers to make their deposits. You can find more information on these deposit methods here (https://betking.com/help/general-help/payments/deposits/). The deposits are usually instant. BetKing recently launched a double deposit bonus scheme for first time depositors. This means that if you deposit N1000 into your BetKing account for the first time, you will get an additional N1000. That is N2000 in your bonus credit account. This 100% welcome bonus is up to N100,000. · User makes first deposit into BetKing account. · User opts for the bonus program by clicking the “Activate” bonus button. · Once activated, the customer gets double the amount of his deposit on his balance. This means if he had N1000, he will automatically have a balance of N2,000 in bonus credits. The bonus is up to N100,000, so if he deposits N200,000, he will get an extra N100,000 bonus credit. · A 100% bonus scheme will also be launched for non-first time depositors within 2 weeks. Cash-out simply means that a player can cashout his winnings on a ticket even when some games are still running. It is available in BetKing Shops and online. How does the Cash Out Work? BetKing cash out works both online and offline in BetKing shops and the process is straight forward. · Enter coupon code on “coupon Check” to view cash-out value if available OR simply click on “My Bets” or use “Bet Search” to find the ticket and view the cash-out value. · The user will be able to see what the cash-out value is. · Again, he can also give his coupon ID to the Cashier in a BetKing shop to confirm on his behalf. · After confirming the Cash-Out value, cashier clicks “Proceed” to cash out on behalf of the player. · Cash Outs requests have a time delay in accepting. During this delay any price changes, suspension of markets, and any other system errors that are detected, may cause the cash out to be rejected. · On successful Cash Out request, the bet is settled and credited immediately. The actual final result of the original bet will have no impact on the Cash Out amount. If you need help, you can reach BetKing support every day of the week from 8am – 10pm. Live Chat: Available on desktop and mobile via the “LIVE CHAT” feature.